By: Emily Lunardo | Health News | Friday, October 7, 2016 – 10:30 a.m. Despite the change of season is a beautiful time, but can also be dangerous. Farmer’s Almanac has published some safety tips to ensure you have a pleasant and safe fall. Flooding: There is an increased risk of flooding during the fall, especially if you live in an area that is prone to hurricanes. Never drive or walk in flooded areas. Leaves: Lots of leaves may seem fun to play, but can be wet and slippery. If the temperature drops, the leaves can be frozen, causing slippery roads. Fallen leaves can clog the road markings and even hide potholes. shorter days: there is less visibility that the days grow shorter in the fall. Be more careful when driving in the afternoon when the sun is setting. Tomorrow can be quite foggy, worsening visibility, too. Maintain proper distance between you and other vehicles and drive carefully. Temperature fluctuations: Temperatures can fluctuate during the day feel almost like summer to switch back to the cold range. Keep a waterproof jacket handy in case of rain and wear layers of clothing that can be removed or put in function of changes in the outside temperature. Have your furnace to check and clean or replace the filters. Change the batteries in your smoke detectors and carbon monoxide detectors. Never leave candles unattended and do not burn anything outdoors when the danger of fire is high. that the conduit is inspected and never leave a fireplace unattended. 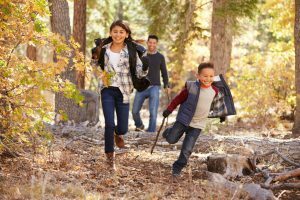 Following these tips can ensure that you enjoy fall and all it has to offer, safely.